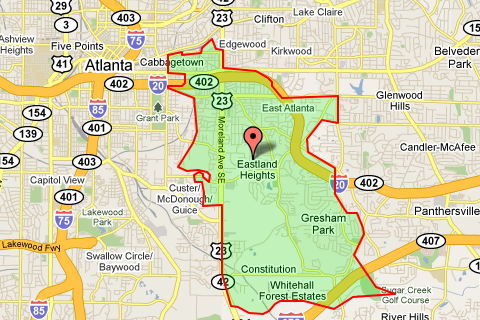 Zip code 30316 covers a large area of Intown Atlanta, including all of East Atlanta and parts of Ormewood Park, Cabbagetown and Reynoldstown. Condos in zip code 30316 range from under $100,000 to around the $500,000 mark. Single-family homes typically range from under $100,000 to around the $800,000 mark.